As we reported after the Minor League season ended, there would be several changes at various levels in the coaching staffs within the Nationals’ minor league affiliates. Our sources have told us that most of the changes will come within the pitching coaches ranks. Most notably Sam Narron will take over as the pitching coach at High-A Potomac; Tim Redding will take over as the pitching coach at Low-A Hagerstown; and Franklin Bravo will be the pitching coach at Short Season-A Auburn. At the top of the Nats minor league system, Randy Knorr will be the new manager of the Triple-A Syracuse Chiefs. The popular Knorr will replace long-time manager Billy Gardner Jr. at Syracuse. 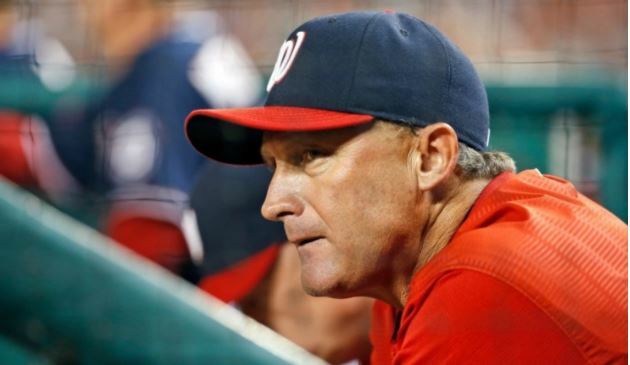 Knorr was the Nationals’ bench coach for several years and he departed after the 2015 season and left his position when Matt Williams departed as manager of the Nationals. Knorr for the last two years has been a senior adviser to Mike Rizzo in player development. While there are some additional changes coming, most of the moves were designed to improve the development of pitching prospects at the lower levels of the minor leagues. Paul Menhart will continue as the pitching coordinator for the Nationals player development system. For some time, there has been an issue with developing the less-heralded minor league pitchers into top prospects at the lowest levels of the minors except for the pitchers who were 1st round draft picks. This issue goes back several years when top prospect pitchers like Matt Purke and Jake Johansen were not developed and left the Nats system. In addition, the Nationals had to “sell low” on #1 prospect Lucas Giolito who was not MLB ready when he was promoted. In addition, long-time farmhand Austin Voth has struggled for consistency at the upper levels of the Nats system. The Nats have traded over a dozen pitchers since 2012 that started with the acquisition of Gio Gonzalez in a blockbuster trade with the Oakland A’s. Rizzo has traded A.J. Cole, Brad Peacock, Tommy Milone, Nate Karns, Ian Krol, Robbie Ray, Alex Meyer, Nick Pivetta, Tyler Watson, Jesus Luzardo, Blake Treinen, McKenzie Mills, Taylor Hearn, Felipe Rivero, Dane Dunning, Lucas Giolito and Reynaldo Lopez. Did I miss anyone? That doesn’t even include losing pitchers to free agency. Rizzo has made subsequent trades and reacquired A.J. Cole and this off-season re-signed Tommy Milone. The net effect has been losing several key building blocks from the pitcher’s mound. The debate can take place to the old argument to whether the issue is the teacher or the student. During the World Series, fans saw Brad Peacock star for the Houston Astros. As we wrote during the World Series, Peacock developed a new slider which he credited for his success. Similarly, there have been other former Nats who have become stars on other teams like Robbie Ray with the Diamondbacks, and Felipe Rivero with the Pittsburgh Pirates. The Pirates have shown in the past that they can quickly develop Nats pitchers into stars. They did that with former Nats closer Joel Hanrahan and have done it again with Felipe Rivero. Hanrahan was a two-time All-Star with the Pirates and Rivero improved from a 4.53 ERA with the Nats to a 1.67 with the Pirates. New Nats’ manager Dave Martinez has brought in Derek Lilliquist as his new pitching coach and the hopes at all levels in the Nats system they can further develop internal pitching candidates. There is also one significant change in Mike Rizzo’s front office as one of his key lieutenants, Adam Cromie who was Rizzo’s assistant general manager and director of baseball operations had resigned after the regular season ended and leaving baseball to pursue a career as a corporate attorney at the venerable law firm of Jones Day. Cromie was promoted to that position back in 2014 and was a well-liked member of Rizzo’s front office staff. Michael DeBartolo has been promoted to Director of Baseball Operations from his position in the analytics department. Cromie went to school at the University of Massachusetts with Mark Scialabba who is the Director of Player Development for the Nationals. Scialabba hired Cromie over ten years ago as an unpaid intern. The Nats front office has shown that they have developed many key parts from within the system and often promoting from within the ranks. The bottom-line here is the Nationals must develop more pitching prospects internally. These moves at the coaching levels appear to be a move in the right direction. This entry was posted in Analysis, Breaking, CoachingStaff. Bookmark the permalink.